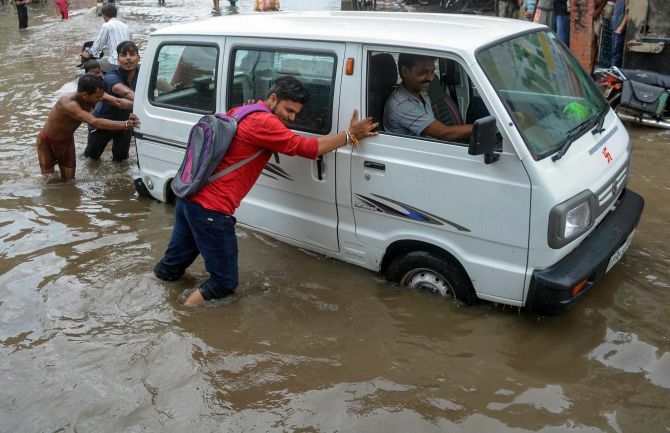 As many as 16 people died and 12 were injured in rain-related incidents across Uttar Pradesh since Saturday, officials said on Sunday, with the meteorological department predicting rainfall throughout the state for the next two days. Shahjahanpur bore the maximum brunt of the weather’s onslaught on Saturday, as six people were killed in incidents of lightning strike, while seven were injured. “Two people died each in Auraiyya and Amethi. One person died each in Lakhimpur Khiri, Rae Bareli and Unnao. All the deaths took place on Saturday,” it said. Eighteen animals died in the state and as many as 461 houses/huts were also damaged, the statement said. The meteorological department has predicted widespread rainfall for eastern and western parts of the state on Monday and Tuesday. In Shahjahanpur, six people, including four children, died in various incidents of lightening strikes. District Magistrate (of Shahjahanpur) Amrit Tripathi said some youngsters were grazing cattle in Shamsherpur village on Saturday, when a sudden downpour forced them to take shelter under a tree. “Mohit, 24, Bablu, 5, Anmol, 10, and Dablu, 11, died when they were struck by lightning, while three were seriously injured,” he said. Vandana, 11, of Nabipur village and Ashok, 42, of Sikandarpur village, lost their lives when lightning struck them, Tripathi said. “Sub-Divisional Magistrate Ramji Mishra has been sent to the spot. Financial assistance of Rs 4 lakh is being made available to kin of the deceased,” he said. The bodies have been sent for post-mortem and the injured were admitted to Shahjahanpur district hospital, police said. 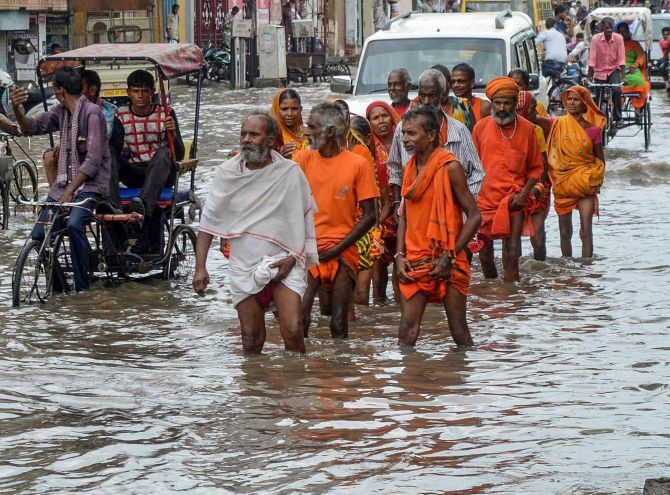 Meanwhile, Uttar Pradesh Relief Commissioner Sanjay Kumar said that six people were stuck in a marooned village due to sudden downpour in Talbehat tehsil of Lalitpur district.